Fishing on the Zambezi River to the novice or experienced angler is possibly as close as one can get to absolute perfection. But what can one expect to catch and how? What are the best times of year and what are the potential dangers if any? 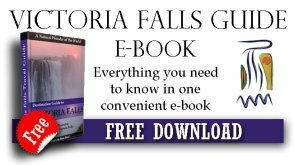 Our focus on this page is fishing on the Zambezi River in the section above the Victoria Falls. As all fishermen know it is not only about the catch but it’s about being at one with nature and your surroundings. Well what better place can you do this than on the Mighty Zambezi River? "One of the greatest charms of angling is that of all the sports , it affords the best opportunity to enjoy the wonders and beauty of nature." It is ever changing through the seasons so one visit is never the same as the next keeping you spell bound every time. 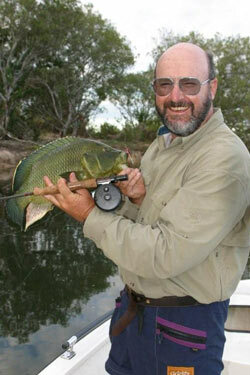 Wildlife and birds are in abundance and for me nothing much can be finer than a day spent fishing on the Zambezi River. There are over 75 fish species found inhabiting these waters. The most sought-after of these is the Tiger Fish, well renowned as probably the greatest fighting fresh water fish around. It is a ferocious species which can grow as large as 33 lbs (15 Kg) in weight. However you can also expect to catch three-spot, pink-happy and Yellow-belly bream, Upper Zambezi Yellowfish, African Pike and Silver Barbel to name just a few of the most common. The gorgeous Yellow-belly Bream (Nembwe) reach over 4kgs in weight and is very popular amongst anglers. Vundu is a type of catfish and is the largest fish found in the Zambezi, and can grow as large as 100 lbs. However the Vundu is only found below the Victoria falls and not fishing on the Zambezi River above the falls. "Lord grant that I may catch a fish so big that even I in telling of it afterwards would have no need to tell a lie." Trolling and spinning with artificial lures for both Tiger fish and Bream are the standard methods used. Bottom fishing and drift bait (fillet or live bait) are also very successful methods. Some of these methods obviously require the use of a boat, so unless you have your own, it is definitely advisable to take a tour with one of the quality fishing companies around. Drifting slowly down with the current and casting into the swirling eddies often yields great fish. The really large tiger fish generally hang out in the deep water so drifting with a chicken or a fish fillet is possibly the best way to catch one of these monsters. Fishing from the river bank in the Zambezi National Park can be very rewarding if you can find the right spot for both spinning and fly fishing. Sometimes giving you that extra mobility to search out fishes in exact spots especially during the very dry season when you can creep up on the shallow waters or jump onto the rocks and cast into the fast flowing current. "Fish come and go, but it's the memory of the Afternoons on the stream that endure." Targeting Tiger fish on fly is definitely one of the most challenging and exciting experiences any angler can have. Heart stopping strikes are always followed by fantastic acrobatic aerial displays, as the tigers dance across the waters surface trying to throw your fly from their bony mouth (often successfully). These tremendous fighters swim against the current all day long and are extremely fit, their fight is unsurpassed by any other fish so catching them on normal tackle is exciting in itself but to catch one on a fly rod is beyond belief. Tigers Fish and Nembwe are targeted all year round, but are particularly prolific from late May through to December. The rains generally start around the end of November, with the rain comes muddy water and lots of debris as well as food. As the water levels rise through January many species of fish move into the floodplains to feed and breed. In May the water levels reach their peak and then start to subside through the next few months until they are again at their lowest in November. 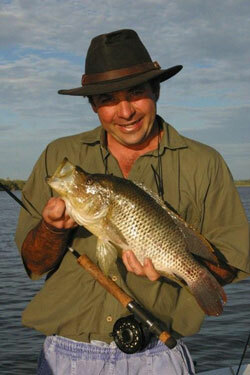 It is as these water levels start to recede that one can have some truly excellent fishing on the Zambezi. The bait fish, normally around June, have to leave the security of the floodplains and make their way back to the main channel, these “bait balls” are followed by the predators, and this is when a lot of action takes place and there is excellent fishing to be had with both lure and fly. As the water levels continue to drop, the temperatures start to increase and the water becomes crystal clear from August through to November superb fishing of all species is to be had. "The two best times to go fishing are when it's raining and when it is not!" The Zambezi is real Africa so there is no getting away from the fact that Hippos and Crocodiles live in these waters in profusion. Experienced guides however know exactly how to avoid these animals and let them be, so that both man and animal can enjoy this magical place. So don’t let these dangers stop you from going rather make sure you go only with someone who knows what they are doing. If you are fishing on the Zambezi from the bank don’t stand on the river bank next to a deep water channel for long periods of time, keep moving every few minutes. But in all honesty your biggest enemy here is the sun, the cool air blowing off the water lulls you into believing you are not getting burnt. So ensure that you have a wide brimmed hat, suntan cream and even long sleeved shirts. Mosquitoes won’t worry you during the day, but at dusk they come out in full force so if you are going to be on the water at that time make sure you have some mosquito repellent with you. The water in this section of the Zambezi above Victoria Falls is very pure and is fine to drink. There are a couple of fishing companies operating in Victoria Falls, and to be brutally honest Not all of them are that great (be warned). Fishing trips are not cheap and the last thing you want is to be landed up with a guide who has no interest in what he is doing or has forgotten the worms!! Yip that happened to us. In our view the success of one's fishing trip entirely depends on your guide. Zam Fishing Safaris have a selection of guides who have all spent many years on the Zambezi and know the river intimately. If anyone can catch fish they can, they know all the best spots in this section of the river. They provide boats and all equipment. Please	click here for a Price List. • Cooler box with ice and drinks, snacks. • Maximum 2 fishermen per boat. This is optimum for the best fishing. A good fishing trip, like a well cooked meal or a well lived life, always ends a little too soon. 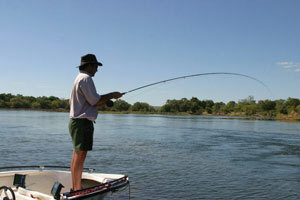 Do You Have A Great Story, Tips or Advice About Fishing on the Zambezi? Please Share it with us, we would Love to hear it! 8.5kg Tiger caught in the Zambezi at "Tiger valley"